This exquisite ring is a timeless statement piece inspired by the Crown Jewels. 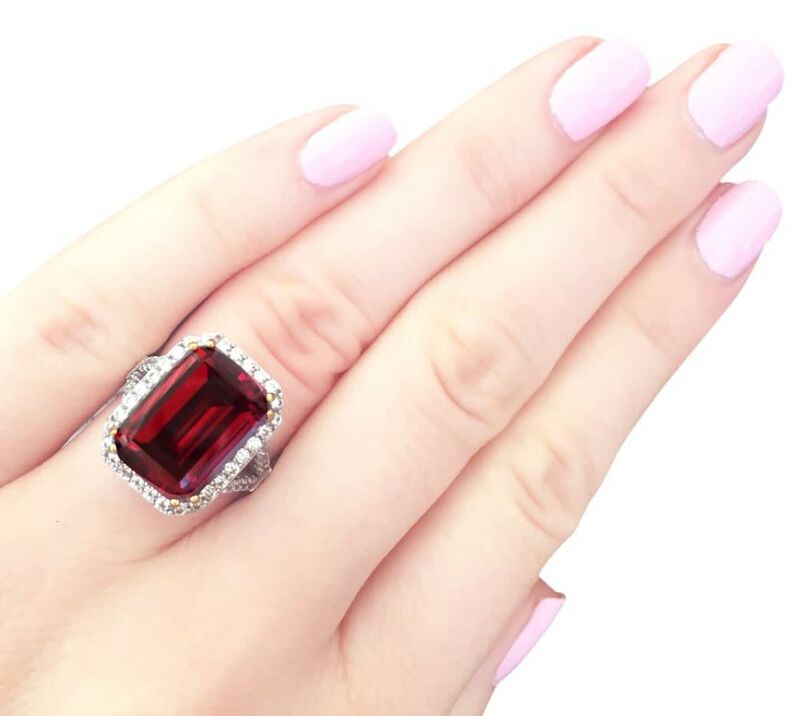 The illustrious hand faceted crimson-hued center stone is approximately 8 carats, and is created of the finest grade cubic zirconia for unparalleled, superlative brilliance. Ring is approximately .5 inches in length. 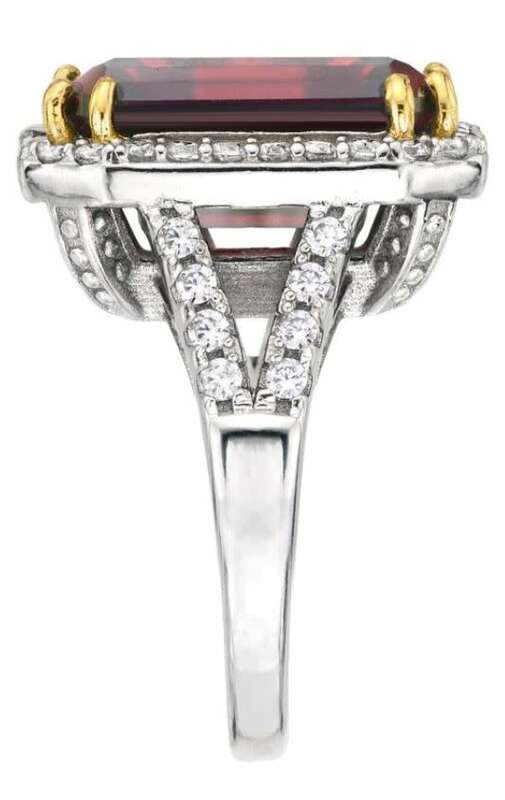 Modeled after the most exceptional fine jewelry, the center stone features angled corners with gold double prongs. 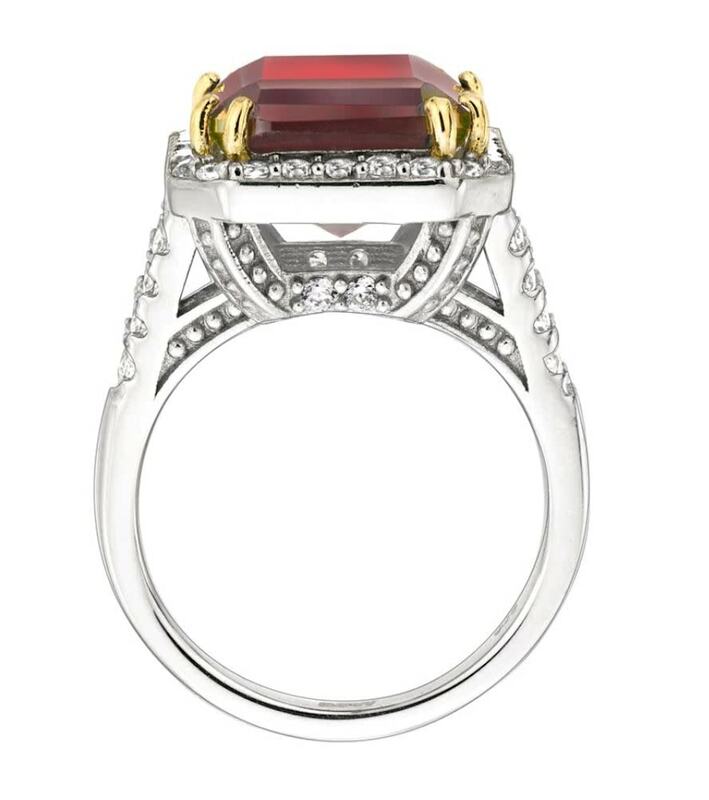 These 18 karat gold plated prongs highlight the beauty of the crimson-hued center stone. Bling by Wilkening gold plating is four times thicker than the industry standard to ensure unparalleled quality and durability. 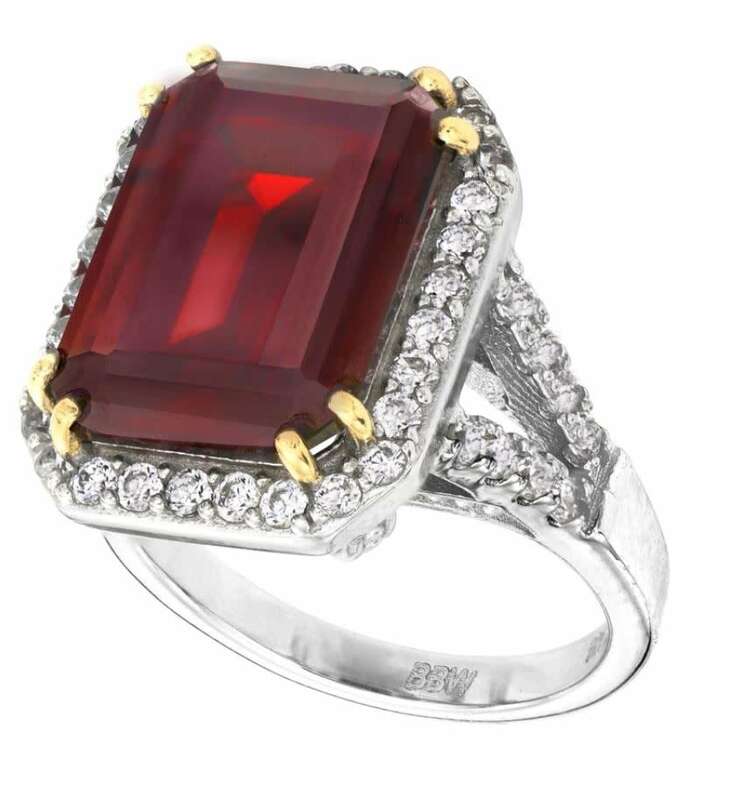 Clear cubic zirconia, also of the finest grade, is set in a halo surrounding the crimson-red center stone. Clear stones are also set on the underside of the setting for a stunning added detail. This is shown in an additional image of the ring. Please view additional image of ring shown on model. Ring will come packaged in a beautiful organza bag with enclosure card, inside of a silver gift box with satin lining and bow.